My husband went looking for me in my studio one day and this is what he saw. 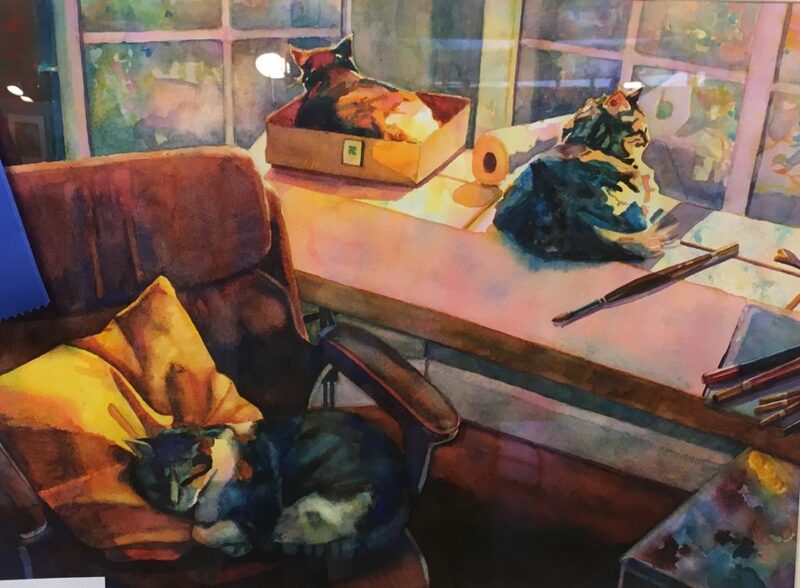 The orange one in the box (Bailey) normally snoozes there when I paint, but the other two (Gus and Tess) are not ideal studio companions. They have to drink the water or try to get in my lap, so they get "put down for a nap" in a bedroom every afternoon while I work. They get treats at nap time, so it's their favorite time of day. If I'm late they won't nap on their own but instead follow me around, yawning hugely, until nap time is announced.